Bill Holland is the type of man who gets a certain twinkle in his eye when he’s telling a good story. And if you’re spending time with Holland, the story is likely to involve fishing. There’s the one time he lost a big fish at a young age and grew very upset. His father, eager to impart a life lesson, told him the fish was fighting for his life and deserved the utmost respect for winning the battle. The irony wasn’t lost on the younger Holland when his dad let out a torrent of choice words only a few minutes later when he lost a big fish of his own. “He wasn’t very amused when I reminded him of what he told me,” Holland said with a grin. From his home on Birch Lake near Elk Rapids, Holland recalled more than a few tales of fishing glory. He also spoke of the reasons behind his decision to dedicate a portion of his estate to the Grand Traverse Regional Land Conservancy. Those reasons involved stories of change and loss, and a desire to make sure the region’s wonders are accessible to everyone for generations to come. Holland was born in Saginaw and spent his career in the Detroit area working as a school psychologist. His first taste of the area came more than 50 years ago when the husband of a second cousin needed a ride home to the Honor area. So began a long career of hunting and fishing throughout the area, and the start of what is now a permanent connection. He began renting here in 1969 and moved here with his wife, Myrna, on a full-time basis after retirement. One of his favorite spots back in the old days was a small lake in northeast Benzie County, where he’d camp in a nearby pine forest and haul a boat in for some of the best bluegill and bass fishing around. Many years later, a visit to the same lake left him with a pit in his stomach. Other spots became developed as well, sometimes limiting access in addition to sullying scenic splendor. Holland used to fish at the mouth of the Crystal River in Glen Arbor, but found that access lost when condos were built several years back. He became resolved to find a way to fight back. “This area offers so many things. There’s a plethora of trout streams, if you like that, there’s skiing, the fall colors, you name it. It’s a paradise up here – a real paradise. It became my desire to see as many places protected as possible. I’ve seen too many things be destroyed,” he said. Holland has three grown children and six grandchildren. Future generations weighed on his mind as he thought about loss of access to beautiful, natural places. But how could he make a difference? After much consideration, he decided to leave a legacy gift to GTRLC, where he’d been regularly donating for many years. Holland made his gift with the utmost confidence that GTRLC would make the most of the money. After a long, successful career in the Detroit area, Jill Byron made a move that she always knew was coming. Byron had been visiting Northern Michigan since high school, spending time in various spots in the Grand Traverse and Petoskey areas. 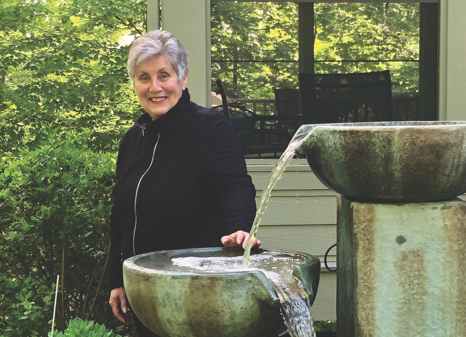 When it came time to retire after a career in advertising and branding with DTE Energy, she packed her things and moved to the beautiful Old Mission Peninsula in 2001. 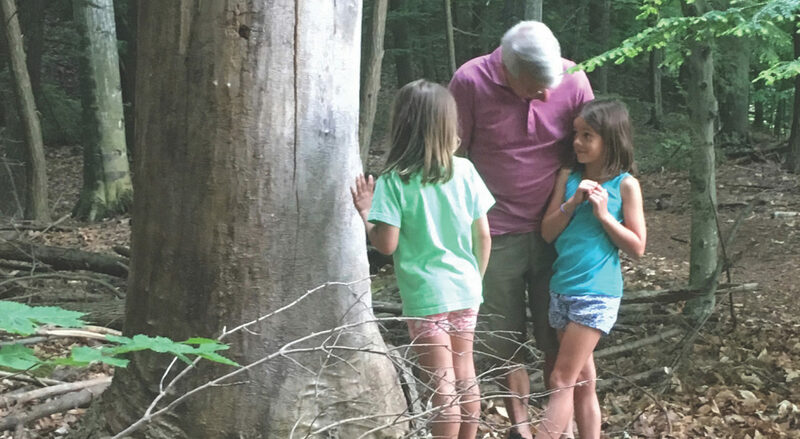 Byron got involved in preserving the region’s beauty right away, volunteering her time and energy into the renewal of Peninsula Township’s Purchase of Development Rights (PDR) program. After living downstate for many years, Byron fully understands that unchecked growth threatens the visual vibrancy of the region. Continued growth in the region hasn’t eased Byron’s feelings on the matter. After careful consideration, Byron decided to leave legacy gifts to the things she feels passionate about and that helped her to where she is today. A portion of her estate will go Michigan State University to provide scholarships to students in the university’s veterinary (because she loves animals) and communications (because she’s an MSU communications graduate) schools. 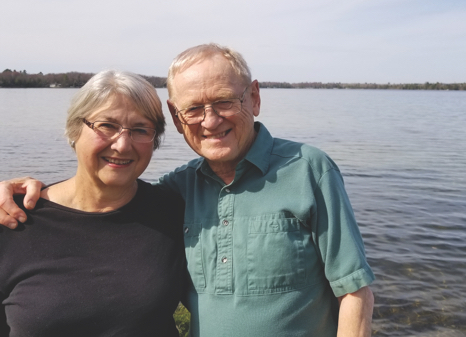 She also made a legacy gift to the Grand Traverse Regional Land Conservancy, a sign of her support for GTRLC’s work to preserve and protect the region’s natural beauty. “I want to have enough money to live comfortably and take care of myself while I’m here, but once I’m not here, I feel like I have a responsibility to the things that are important to me to give back,” she said. Byron hopes that others take the time to arrange for estate gifts that can make a difference long after they’re gone.